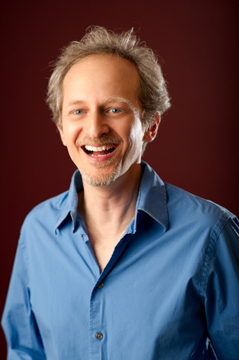 Kenneth Lampl: Bio & Choral Music | Santa Barbara Music Publishing, Inc.
Born in 1964, Kenneth Lampl is currently the director of the Music Business and Technology program at Hofstra University. He received his D.M.A. in composition from the Juilliard School of Music, studying with Milton Babbitt and John Corigliano. His first international recognition came with the winning of the Prix Ravel in composition at the American Conservatory in Fontainebleau, France. Many awards soon followed including six ASCAP Composer Awards, two New Jersey State Council for the Arts Fellowships, the Cincinnati Symphony Orchestra Awards to Young Composers, the Gretchanov Memorial Prize in Composition from the Juilliard School and fellowships from the foundations of Henry Mancini, George Gershwin, and Richard Rogers. With over twenty symphonic compositions to date, his music has been performed by such prestigious musical organizations as the Cincinnati Symphony Orchestra, the Dallas Symphony Orchestra, the Kansas City Symphony, the Tanglewood Festival Orchestra, the Delaware Symphony, the Greenville Symphony, the Juilliard Orchestra, the Jupiter Symphony and the Absolute Ensemble. His introduction to the world of film scoring came in 1997 with a fellowship to the Tanglewood Music Festival where he had the opportunity to study composition and conducting with John Williams. As a composer of film music Kenneth Lampl has scored over 40 feature films including: Frontera starring Ed Harris and Eva Longoria, 35 & Ticking starring Kevin Hart and Nicole Ari-Parker, Ninja’s Creed starring Pat Morita and Eric Roberts and Winter of Frozen Dreams starring Thora Birch and Keith Carradine. Lampl also composed additional music for Pokemon: The First Movie: Mew vs Mew Two, and Pokemon Mewtwo Returns. Kenneth Lampl has 1 titles published with Santa Barbara.